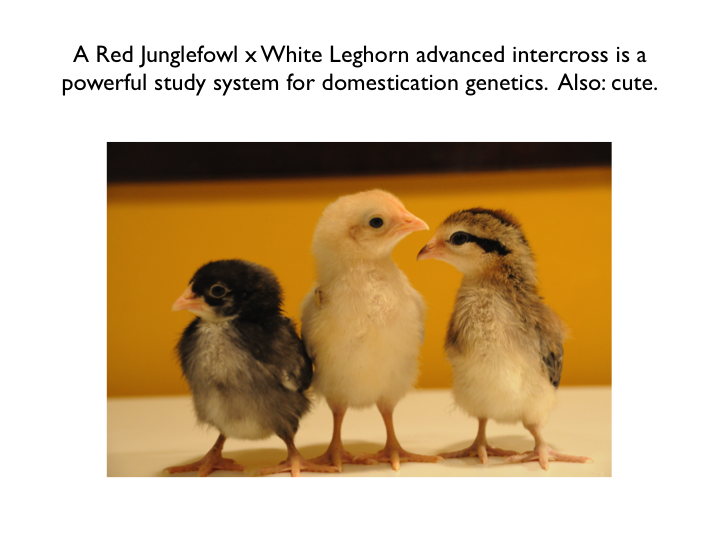 It is out: Feralisation targets different genomic loci to domestication in the chicken. This is the second of our papers on the Kauai feral and admixed chicken population, and came out a few days ago. The Kauai chicken population is kind of famous: you can find them for instance on Flickr, or on YouTube. We’ve previously looked at their plumage, listened to the roosters’ crowings, and sequenced mitochondrial DNA to investigate their origins. Based on this, we concur with the common view that the chickens of Kauai probably are a mixture of feral birds of domestic origin and wild Junglefowl. The Kauai chickens look and sound like a mix of wild and domestic, and we found mitochondrial DNA of two haplogroups, one of which (called D) is typical in ancient chicken DNA from Pacific islands (Gering et al 2015). … 2) highlight a regions of the genome that may have been selected during feralisation on Kauai (these are the icicles in the graph, highligthed by arrows); 3) conclude that the regions that look like they’ve been selected in feralisation overlap very little with the ones that look like they’ve been selected in chicken domestication. Hence the title. That was the main result, but of course we also look at what genes are highlighted. Mostly we have no idea how they may contribute to feralisation, but a couple of regions overlap with those that we’ve previously found in genetic mapping of comb size and egg laying in our wild-by-domestic intercross. We also compare the potentially selected regions to domestic chicken sequences. As you may have guessed if you looked at the author list, this was a collaboration between quite a lot of people in Linköping, Michigan, London, and Victoria. Thanks to all involved! This was great fun, and for those of you who like this sort of thing, I hope the paper will be an interesting read. I went to the Stockholm R useR group meetup on R in genomics at the Stockholm node of SciLifeLab. It was nice. If I had worked a bit closer I would attend meetups all the time. 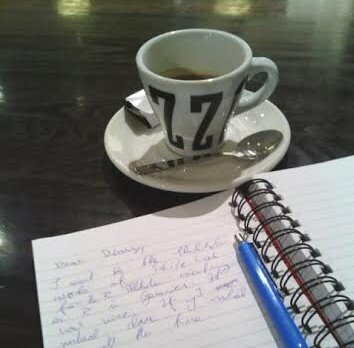 I even got to be pretentious with my notebook while waiting for the train. Jakub Orzechowski Westholm on R and genomics in general. He demonstrated genome browser-style tracks with Gviz, some GenomicRanges, and a couple of common plots of gene expression data. 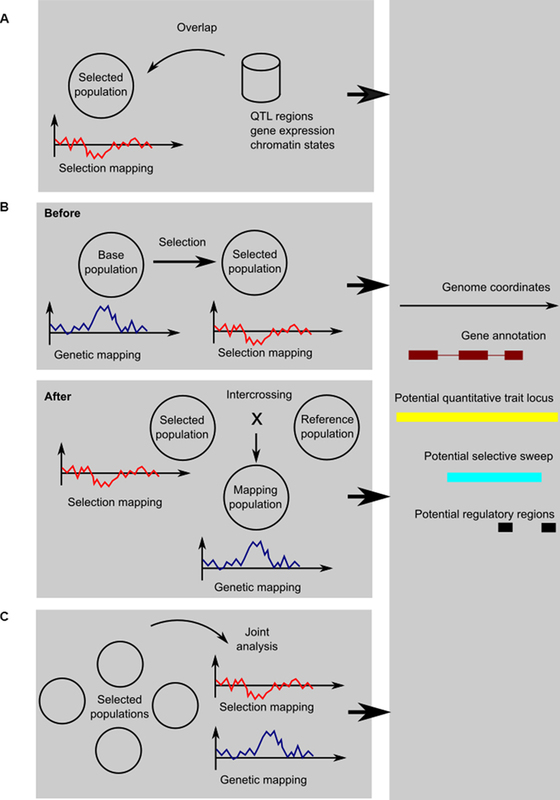 I have been on the fence about what package I should use for drawing genes and variants along the genome. I should play with Gviz. Daniel Klevebring on clinical sequencing and how he uses R (not that much) in sequencing pipelines aimed at targeting the right therapy to patients based on the mutations in their cancer cells. He mentioned some getopt snippets for getting R to play nicely on the command line, which is something I should definitely try more! Finally, Arvind Singh Mer on predictive modelling for clinical genomics (like the abovementioned ClinSeq data). He showed the caret package for machine learning, with an elastic net regression. We also heard repeated praise for and recommendations of the hadleyverse and data.table. I’m not a data.tabler myself, but I probably should be. And I completely agree about the value of dplyr — there’s this one analysis where a couple of lines with dplyr changed it from ”argh, do I have to rewrite this in C?” to being workable. I think we also saw all the three plotting systems: base graphics, ggplot2 and lattice in action.